Can I be a Star Teacher? 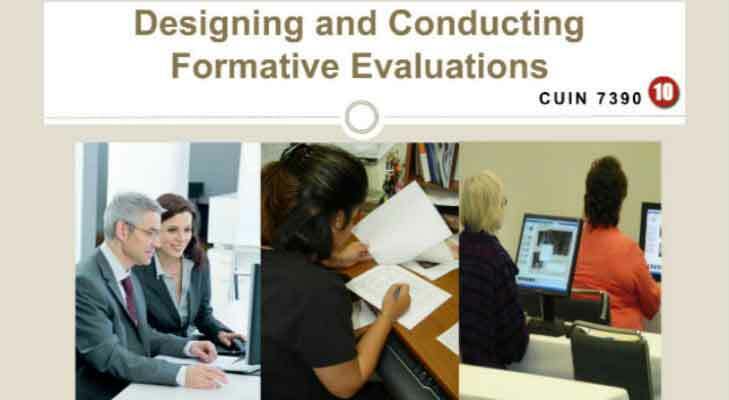 Work with instructional designers and faculty members in the development of instructional materials, courseware product, learning tools, and technologies. Facilitator and writer of instructional technology workshops and tutorials. Manager of student assistants in the creation of Section 508 compliant course videos (both transcript creation and closed-caption synchronization). Developer of course related materials such as online course syllabus, course websites, technology tutorials, presentations, graphics, posters and brochures. Facilitator and organizer of workshops for faculty members, staff and graduate assistant in using innovative applications for education. Instructor of educational technology courses (i.e. office applications, website development, instructional design, interactive content development, graphic design) for the teacher education program (Pre-school, Elementary and Secondary levels). High school teacher of Computer Education subjects (i.e. office applications, website development, graphic design, programming, interactive content development) for all levels at the laboratory high school of the college. 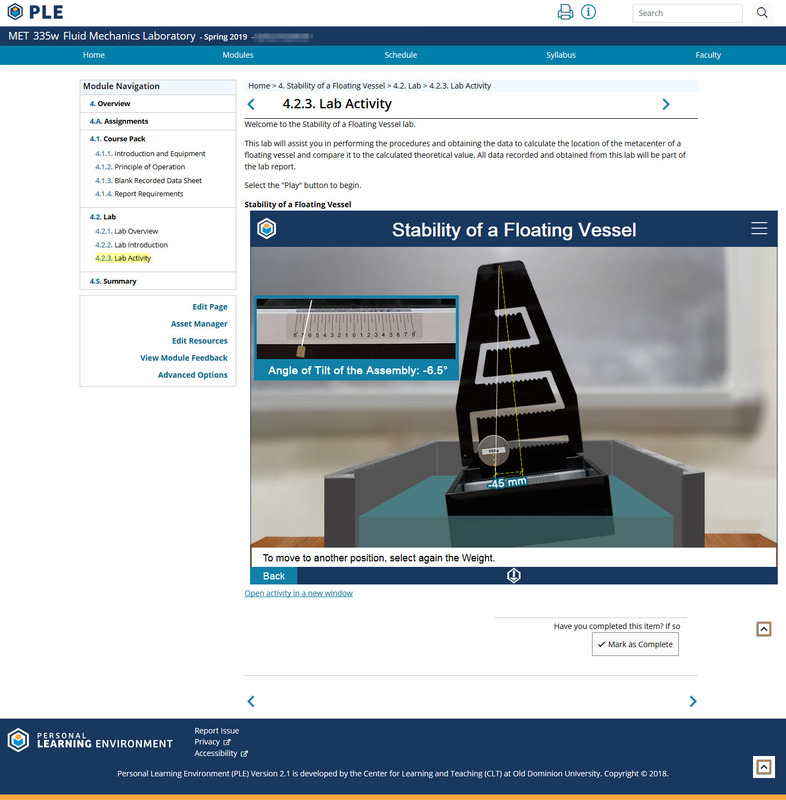 Screenshot of the simulation in the course page. The video demonstration of the equipment simulation. Please click the gear icon to change the quality of the video. 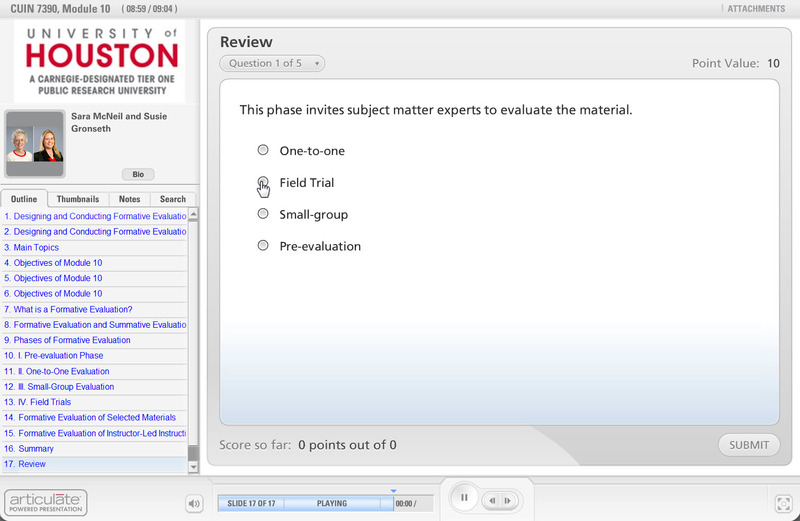 Screenshot of the activity in the course page. The video demonstration of the activity. Please click the gear icon to change the quality of the video. 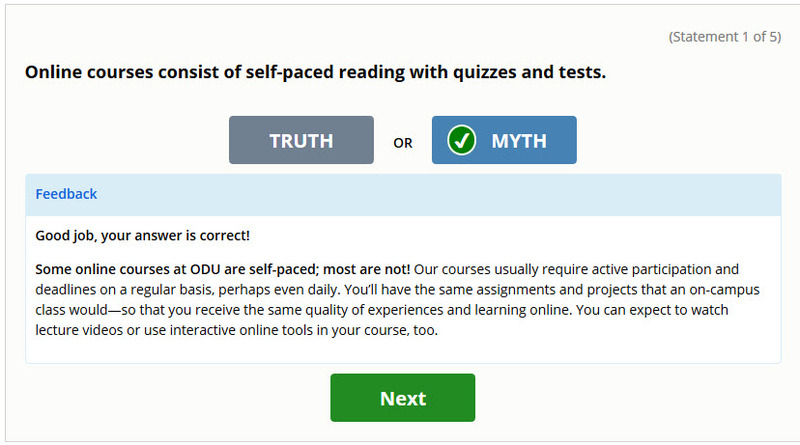 The project is an introductory activity for online nursing students about the myths of online learning. 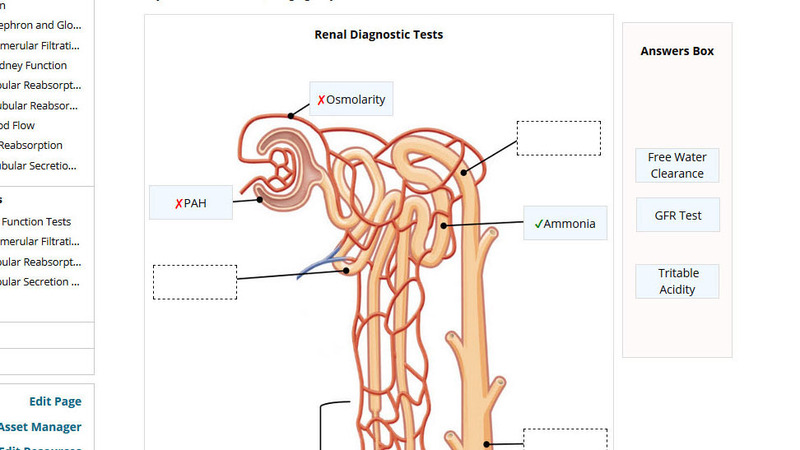 Students can answer the activity by dragging and dropping the parts/components of the diagram. 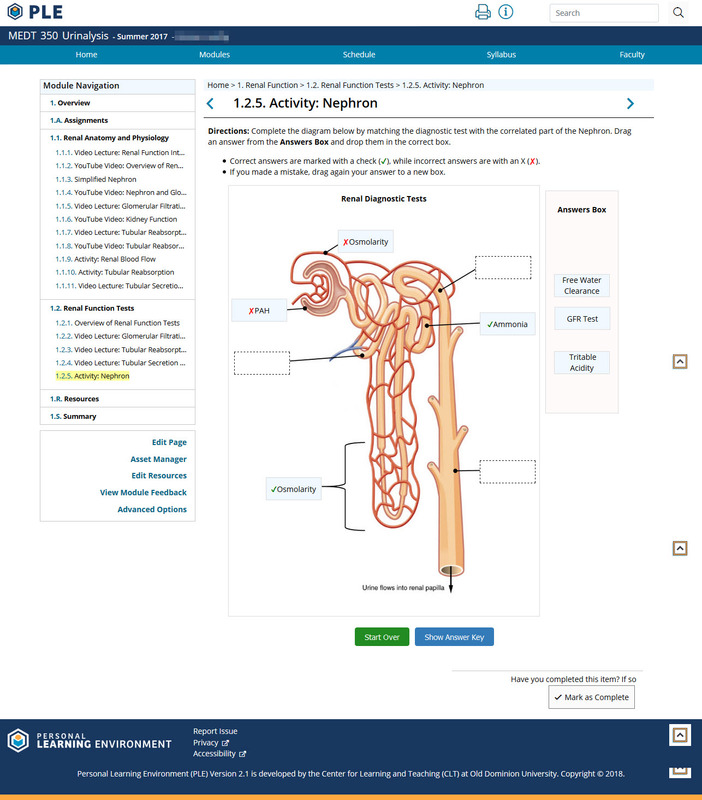 Students can view the answer key and re-drag the incorrect part. My task is to develop the logic of the activity and the interaction behavior of the material (e.g. clicking, moving and animation). 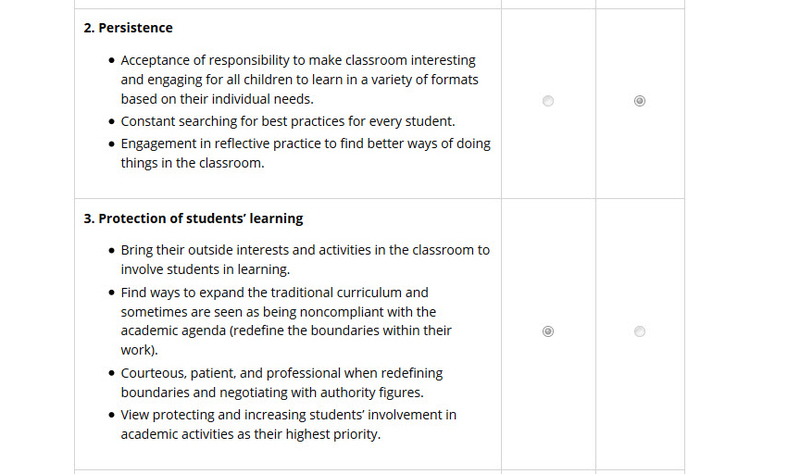 The project is a self-reflection too for teacher education students. Students can answer by selecting the correct choice (either Yes or No). 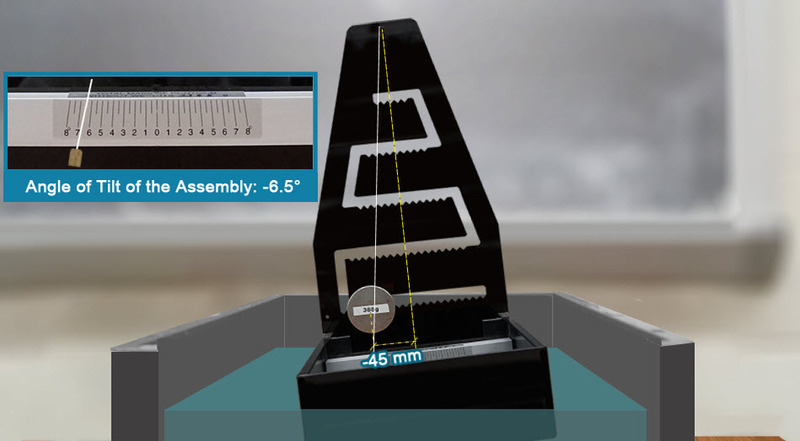 Students can also print the outcome of the reflection. 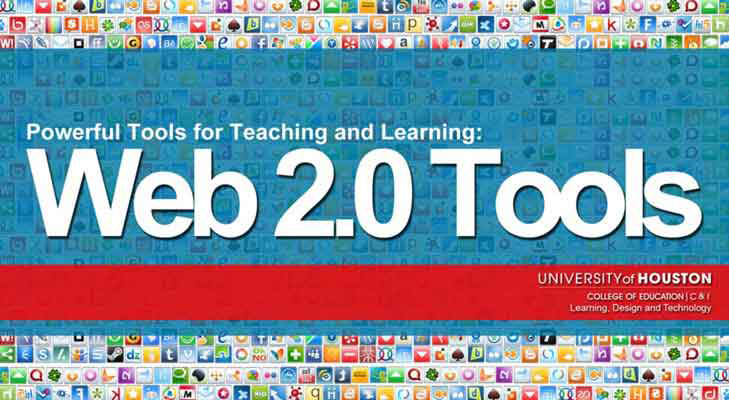 The project is a MOOC (Massive Open Online Course) for integrating Web 2.0 tools in K-12 instruction classroom. The platform used in this MOOC was Coursera. Students in this course will view problem scenarios and solve them by reading the materials and writing a research plan. My task was to develop the overall design of the course, structure of the contents, development of problem-scenario videos and other multimedia contents such as related videos and graphics. 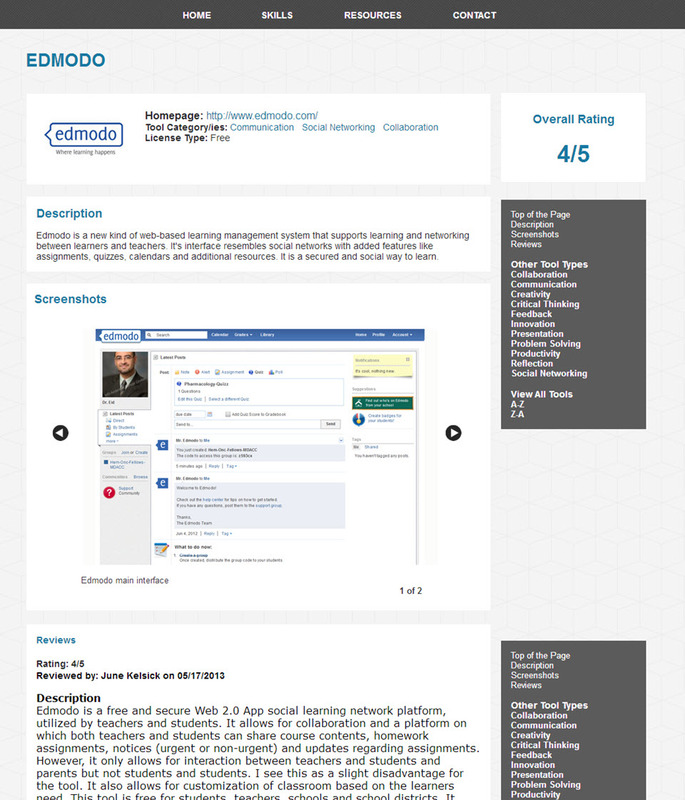 Screenshot of the course page. 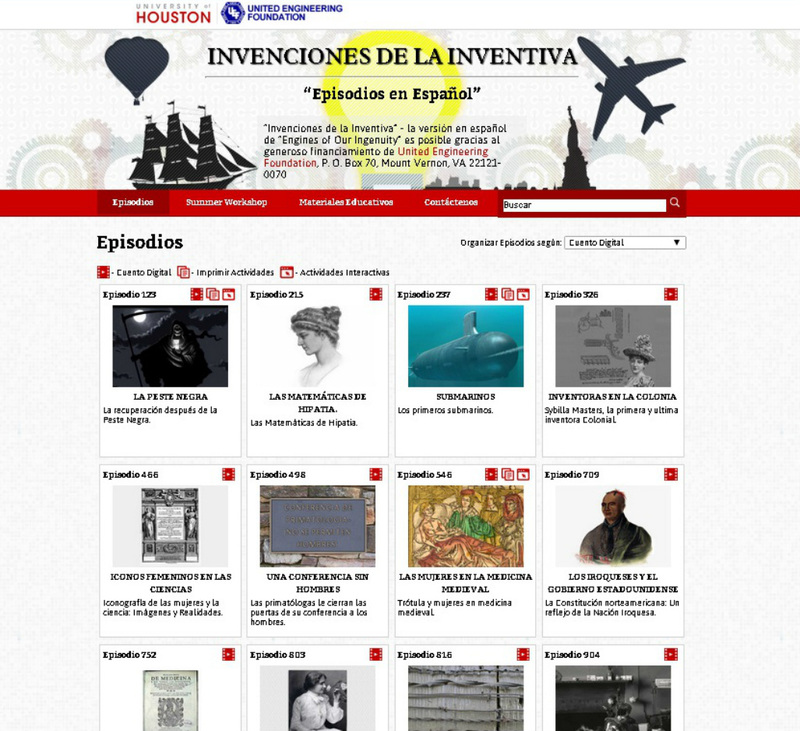 The project is a website that focuses on the Spanish language translations of the episodes of the radio program, Engines of Our Ingenuity. The website contents are arranged by episodes. It also contains a wide variety of teaching materials such as videos, printable content and interactive activities. My task was to develop the overall design of the website, structure of the contents, development of th interactive activities and the back-end interface for content maintenance. Screenshot of the home page. Screenshot of the episode page. 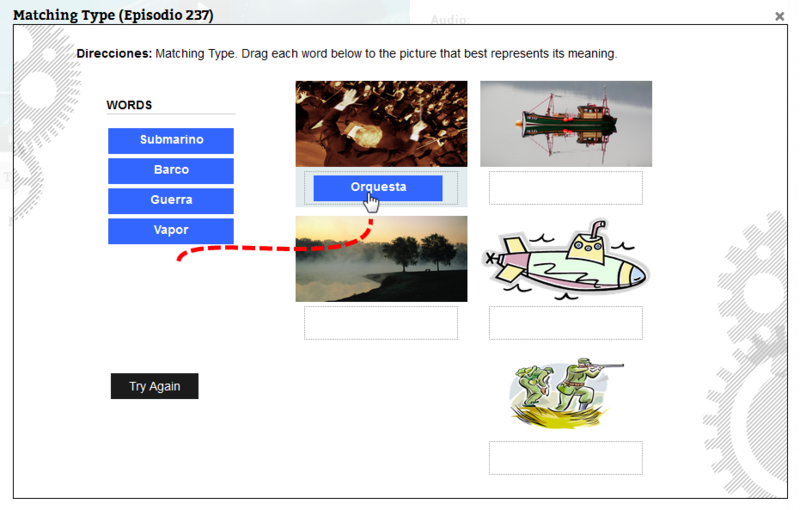 Screenshot of the matching type activity. Users drag and match text to the images. 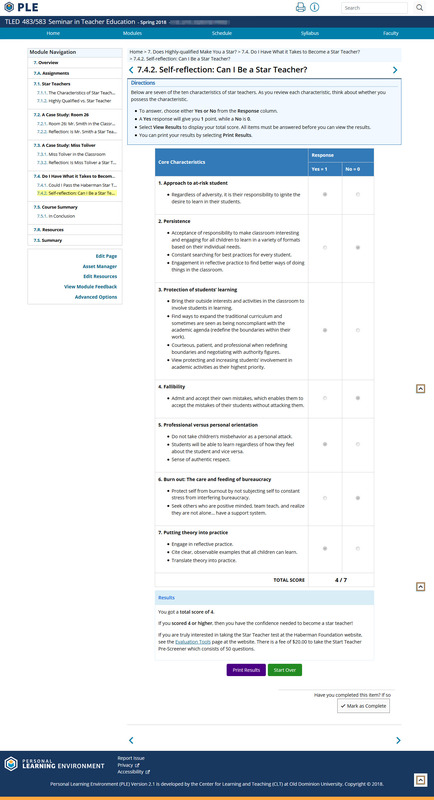 Screenshot of the fill-in-the-blanks activity. 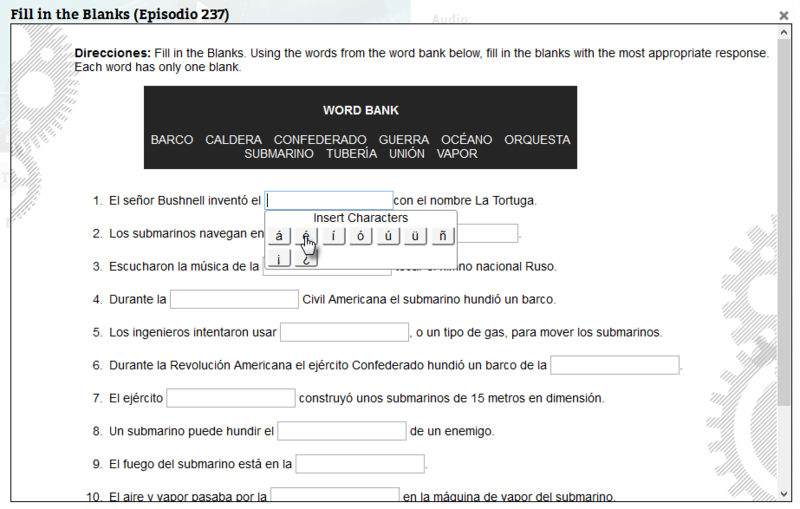 Users were provided with Spanish keyboard when a textbox is clicked. 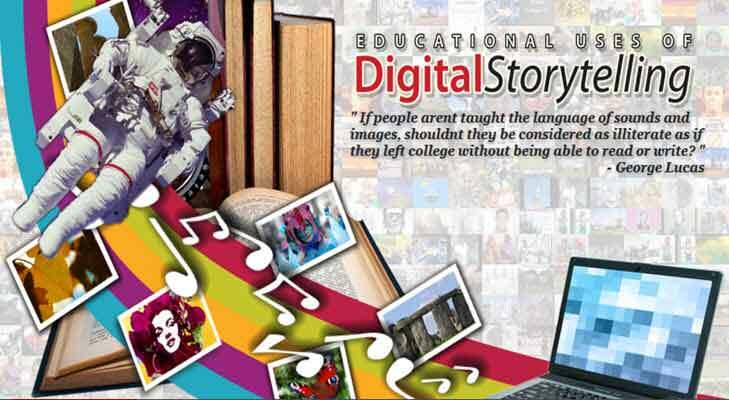 The project is a resource for educators and students who are interested in integrating digital storytelling into a variety of educational activities. 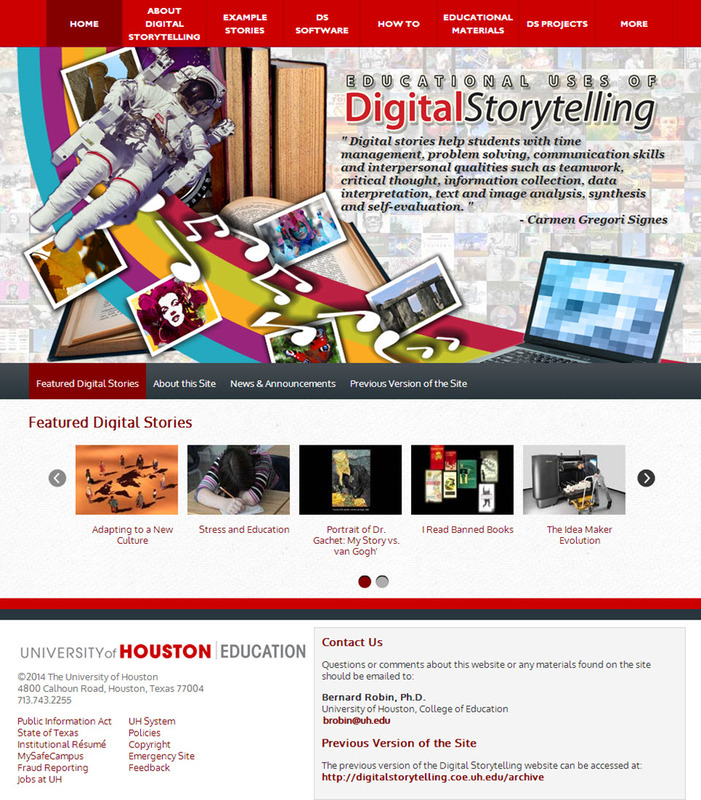 The site was originally created in 2004 and maintained by the faculty and graduate students of the Learning, Design and Technology program of University of Houston. The website contents are arranged by categories/subject-matter. It also contains a wide variety of teaching materials such as videos, printable content and interactive activities. Screenshot of a digital story page. 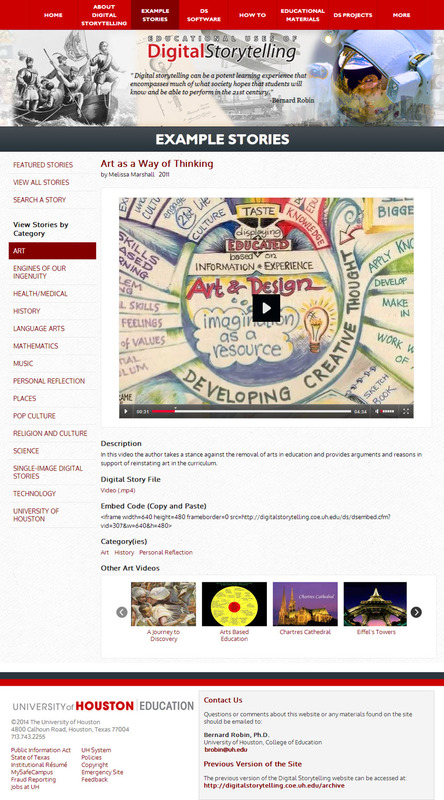 Users can view the story as well as download the video and related materials. 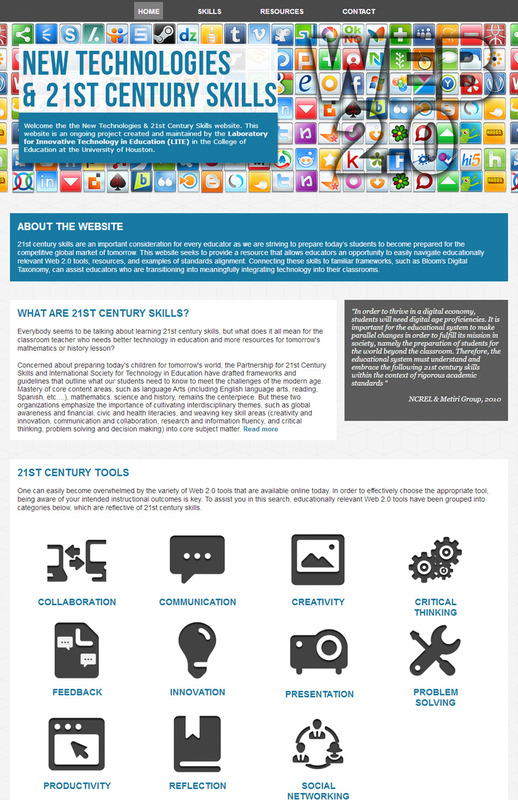 Screenshot of the Workshop Resources page. 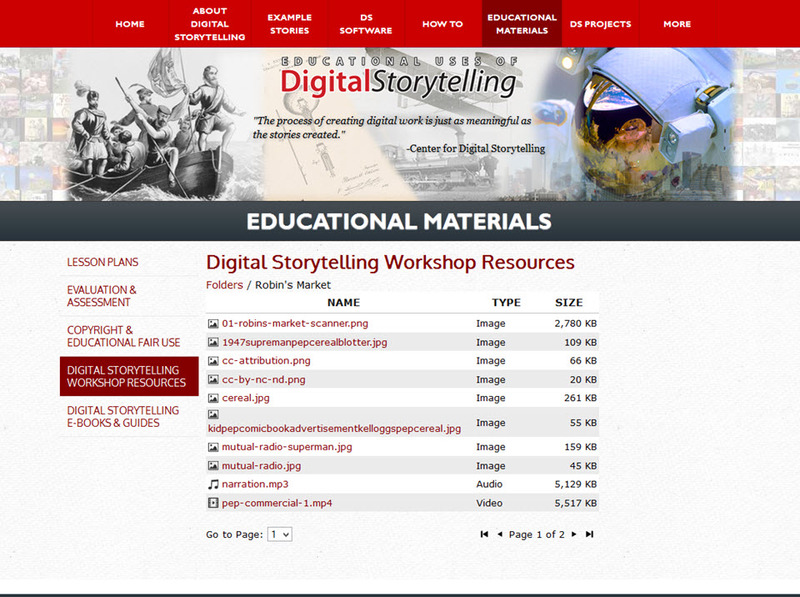 Users can download the materials for digital storytelling workshop. These can be updated through the back-end interface of the website. 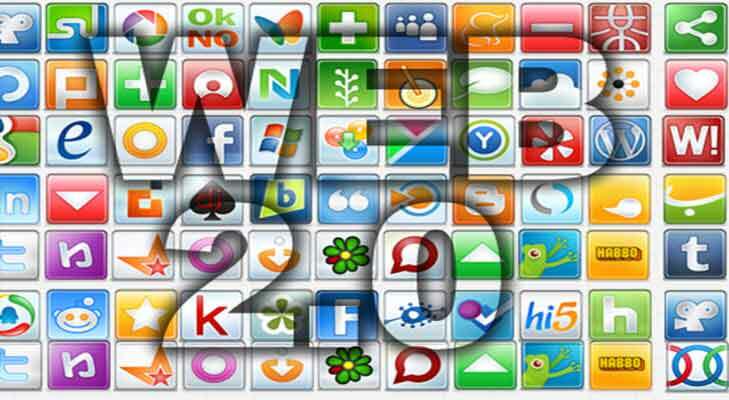 The project is a resource for educators and students who are interested in integrating Web 2.0 tools into a variety of educational activities. 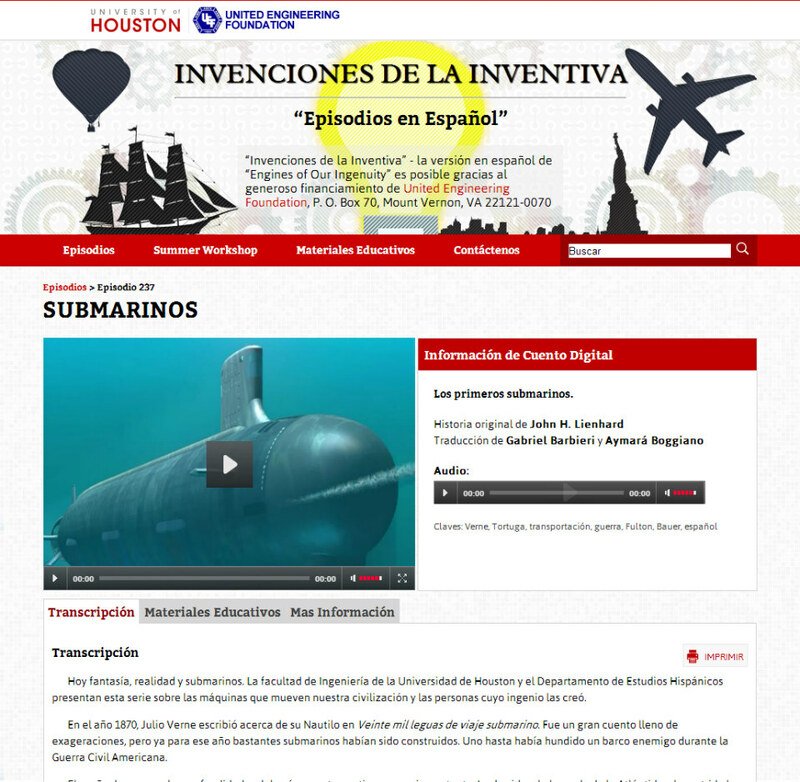 The site was maintained by the faculty and graduate students of the Learning, Design and Technology program of University of Houston. 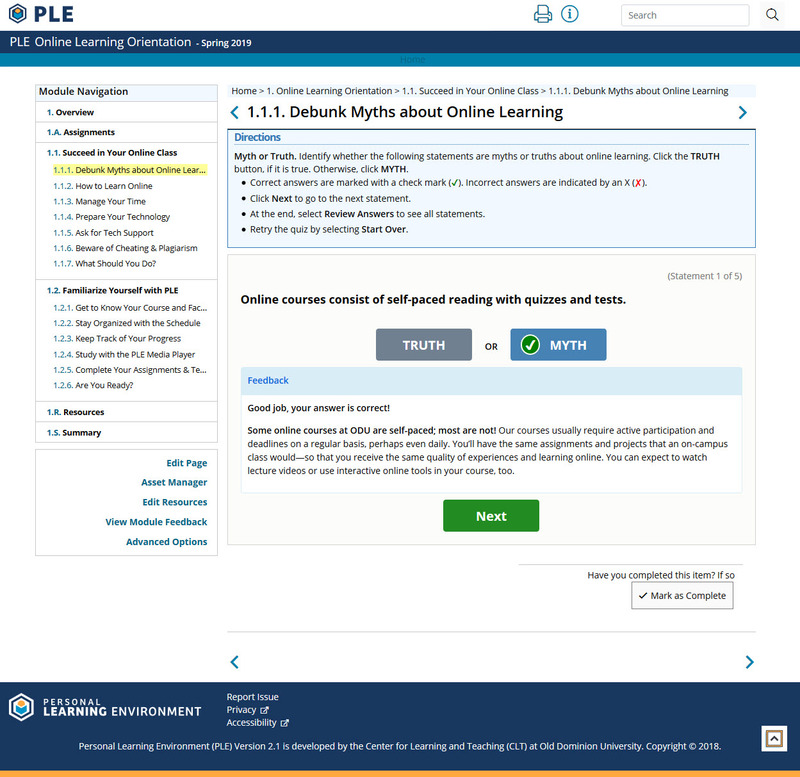 A unique feature of the website is that tools were reviewed by students to provide perspective on the usability of the tool in the classroom. My role in the project were to design the website, organize the contents and develop the back-end interface in order to easily update the website. 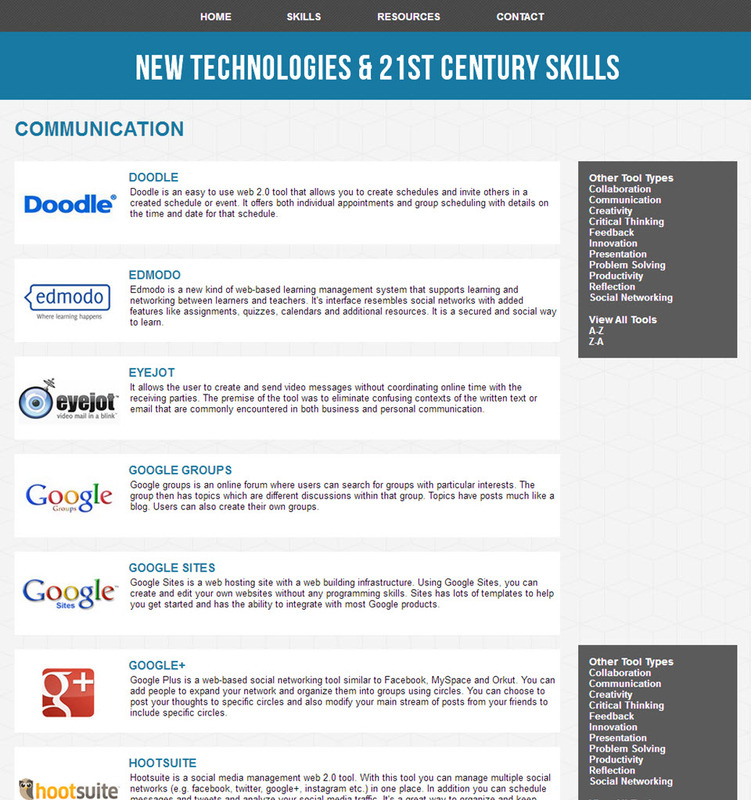 The screenshot of the list of tools. Users can view and sort the tools by using the menu on the right side of the page. 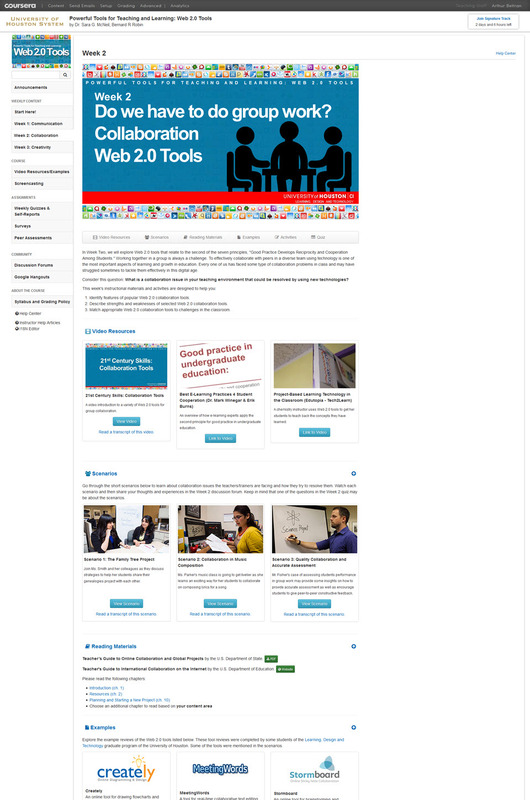 The screenshot of the description and review of the Web 2.0 tool. Users can view screenshots of the tool interface and read its review. 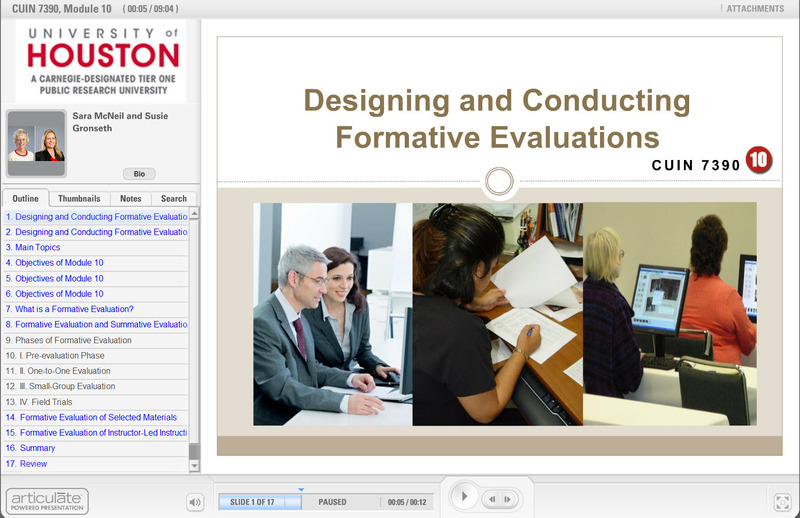 The project is a module for the graduate course in instructional design of the Learning, Design Program at the University of Houston. The contents were written by the instructors while I developed and voice recorded the module. My role in the project were to develop the overall flow of the module, structure of the contents and implementation of the assessment tools. 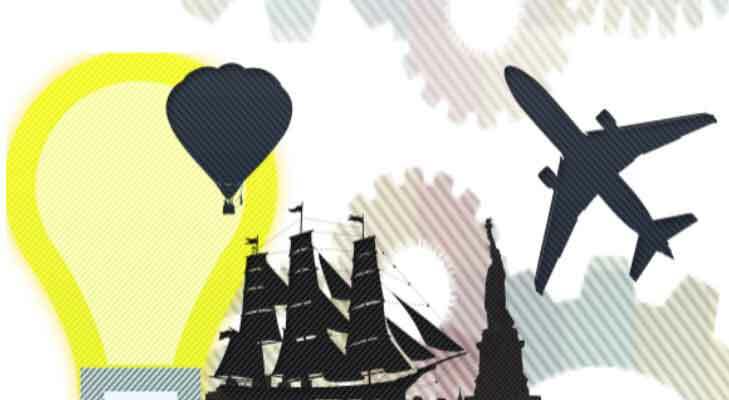 Screenshot of the Introduction slide. 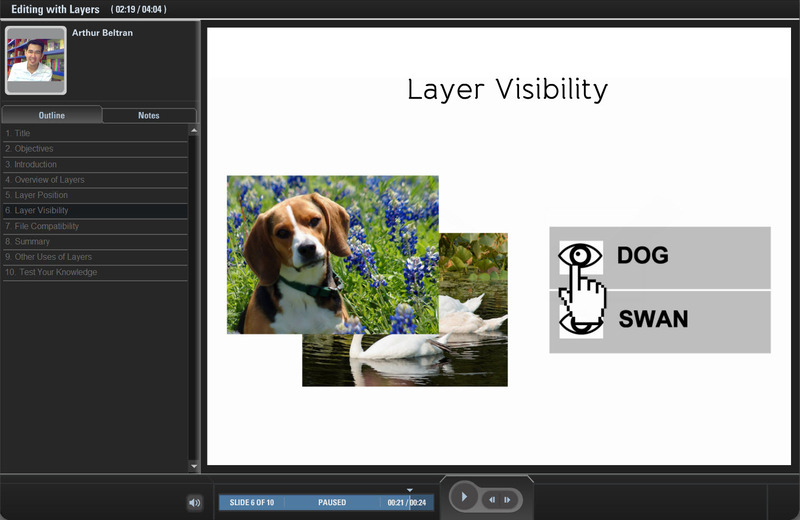 The screenshot of the slide with diagrams. 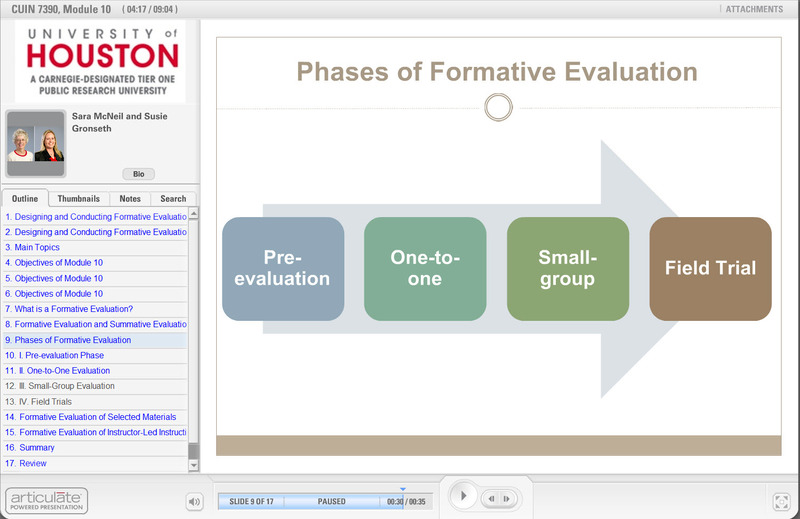 The screenshot of the slide with assessment or quiz. 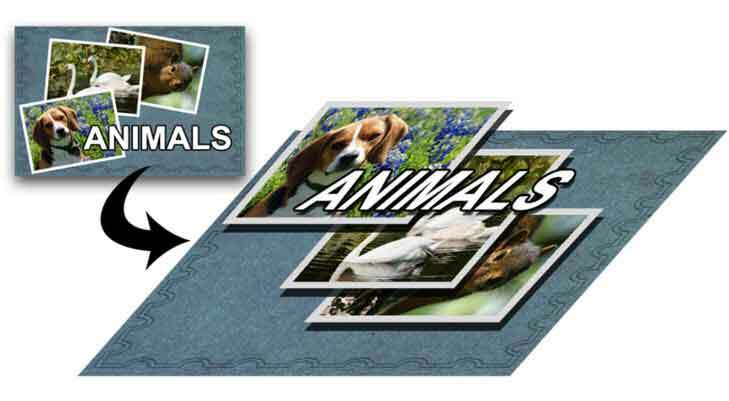 The project are tutorials for Choosing Image Formats and Editing with Layers. The project is a requirement for a graduate coourse. 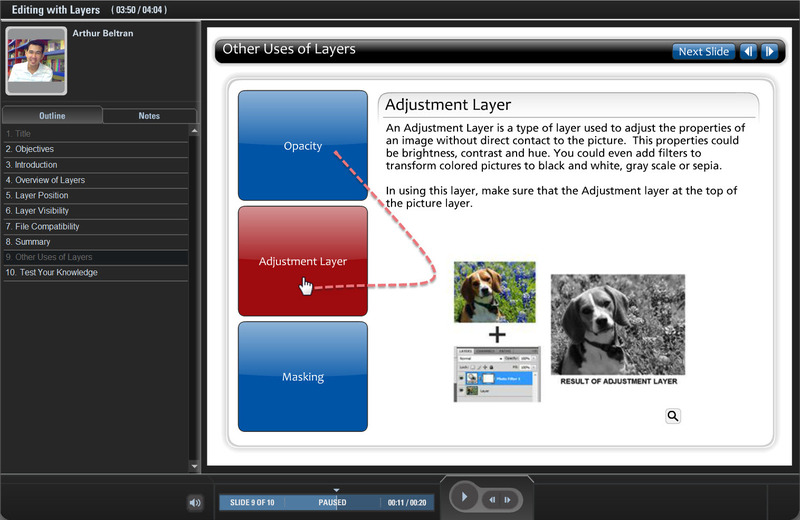 The screenshot of the explanation of layers. The screenshot of the definition slide. Users can view the definitions by clicking the buttons on the left side of the slide. 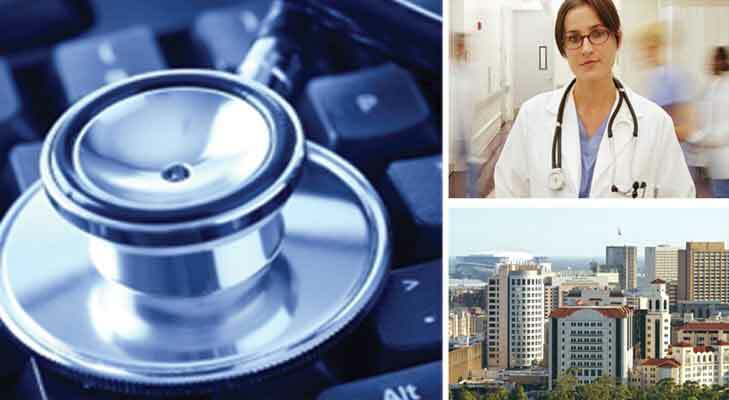 The project is a website for the University of Houston Graduate Programs for Health Science Educators, a graduate program for medical professionals. The aim of the project is to develop a portal for prospective and current students of the program. My role in the project were to develop the overall design and structure of the website as well as the presentation of the contents. 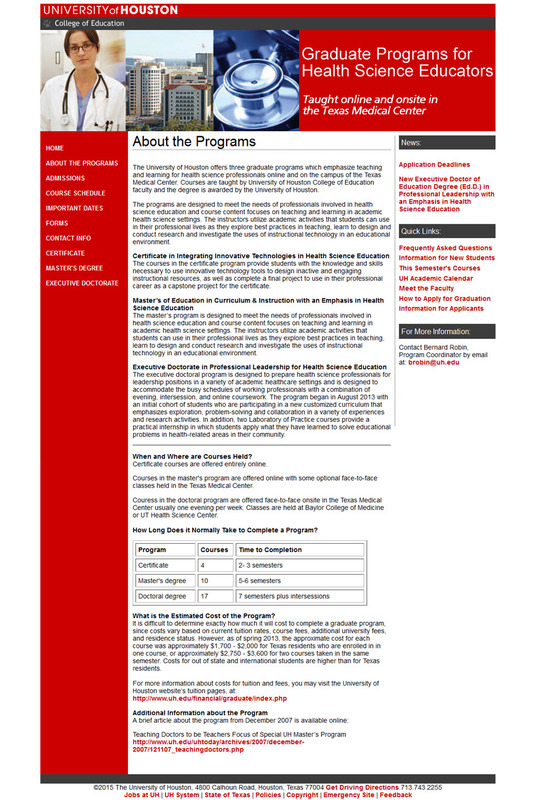 The screenshot of the About the Programs page. 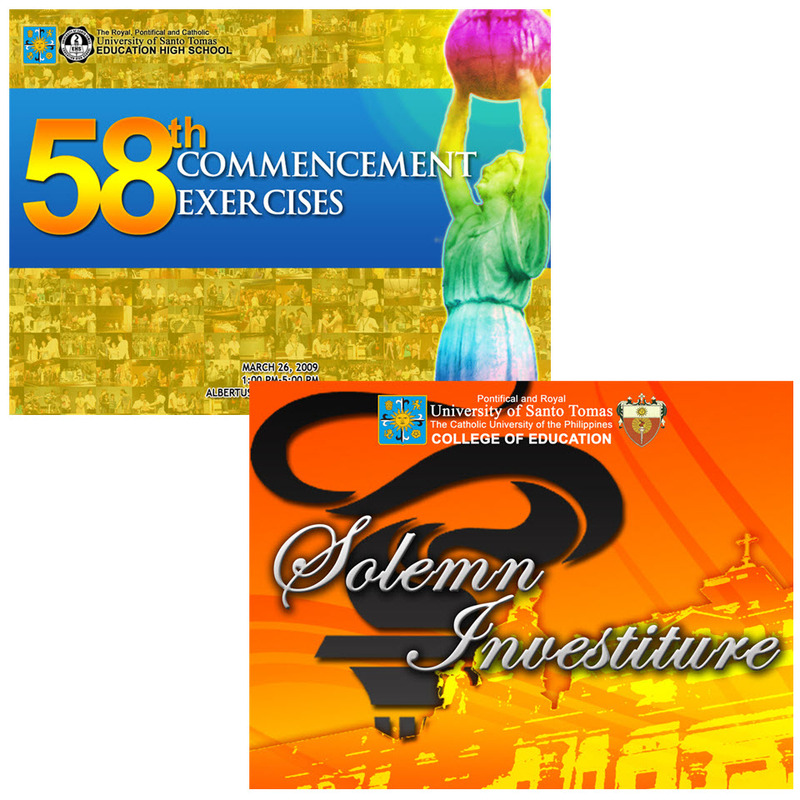 A few selection of graphic design creations for events at the university. 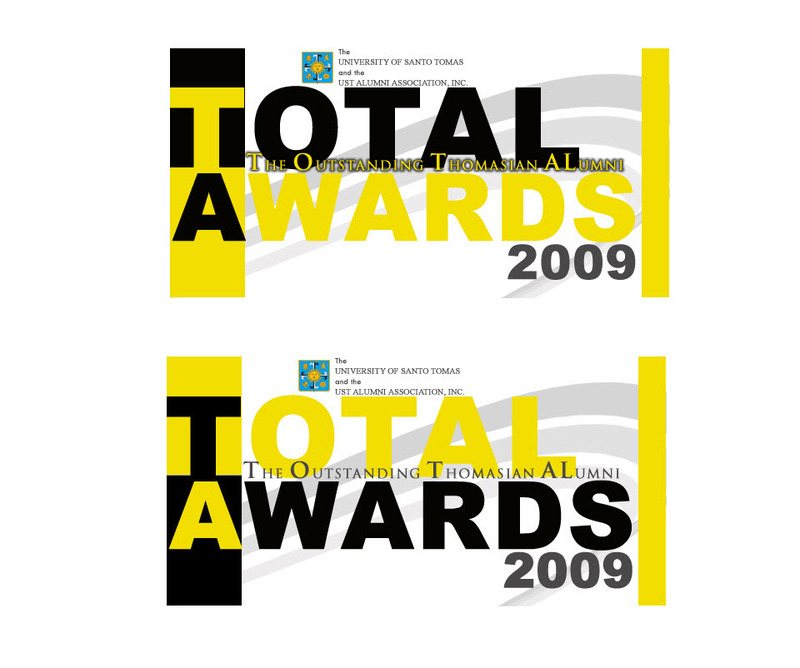 My role in every graphic design job were to develop the overall design for a projected backdrop or a print material for an event. Desktop publishing using Publisher and InDesign. 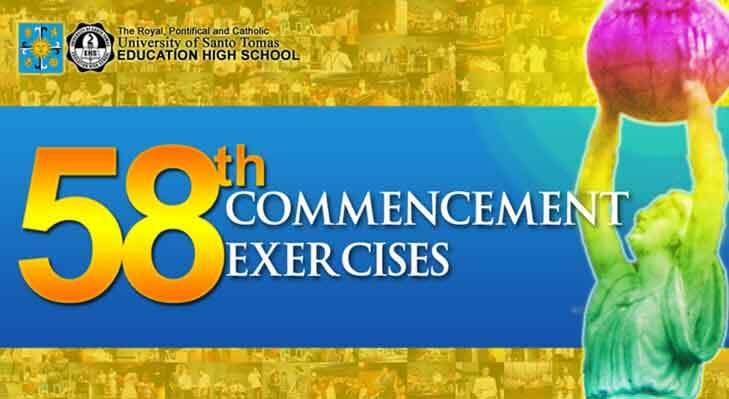 The backdrop for the graduation ceremonies of the laboratory high school and the college. 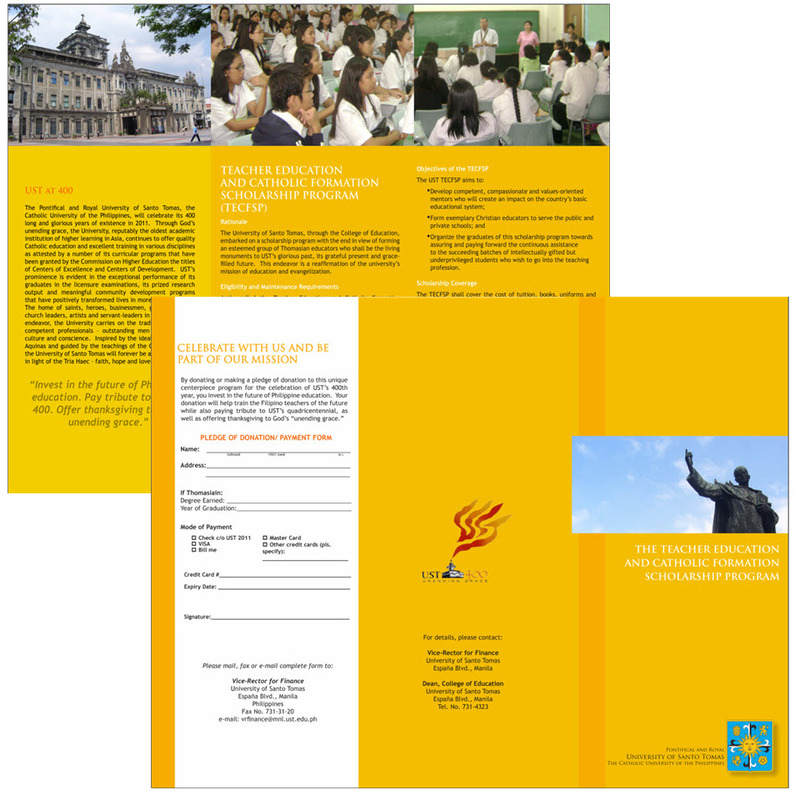 The brochure for a teacher education scholarship. The ticket for an alumni event at the university. The button pin design for an alumni event at the university.